Scientists at the Cockrell School of Engineering at The University of Texas have manufactured the tiniest, fastest and longest-running small synthetic motor to date. The team's nanomotor is a vital step in the direction of developing tiny machines that could one day move through the body to administer insulin for diabetics when required, or aim and treat cancer cells without damaging good cells. 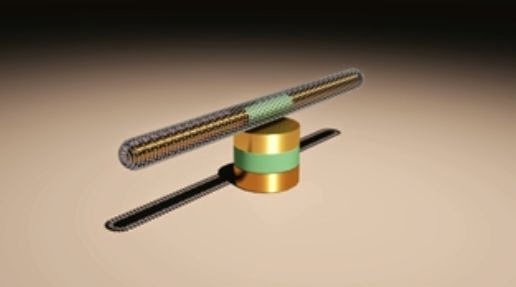 With the objective of operating these yet-to-be invented devices, UT Austin engineers concentrated on building a reliable, ultra-high-speed nanomotor that can transform electrical energy into mechanical motion on a scale 500 times smaller than a grain of salt. Mechanical engineering associate professor Donglei "Emma" Fan directed a team of researchers in the effective strategy, assembly and analysis of a high-performing nanomotor in a nonbiological setting. The team's three-part nanomotor can quickly mix and pump biochemicals and travel through liquids, which is vital for future applications. The group's study was distributed in the April issue of Nature Communications. You can read the Full Article At Phys.org.